Şimali Kentanburi zəlzələsi (ing. North Canterbury earthquake) - Yeni Zelandiyanın 2016-cı ilin 14 noyabr tarixində baş vermiş 7.5 - .7.8 bal gücündə zəlzələ. Zəlzələnin hiposentri cənub adasında yerləşən Kulverden şəhərinin 15 km şimal-şərqində yerləşməkdədir. 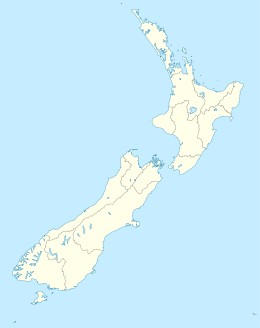 ↑ New Zealand earthquake: Two dead following powerful tremor — BBC, 2016. ↑ "M7.8 - 53km NE of Amberley, New Zealand". United States Geological Survey. November 13, 2016. http://earthquake.usgs.gov/earthquakes/eventpage/us1000778i#executive. ↑ "GeoNet - Quakes". http://www.geonet.org.nz/quakes/region/newzealand/2016p858000. İstifadə tarixi: 13 November 2016. ↑ "Tsunami hits N. Zealand after powerful earthquake, aftershocks (PHOTOS)". 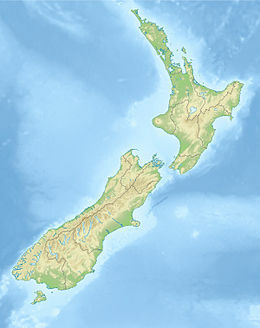 https://www.rt.com/news/366772-zealand-quake-damage-threat/. İstifadə tarixi: 13 November 2016. ↑ 5,0 5,1 "Region by region: severe quake hits". http://www.stuff.co.nz/national/86416268/severe-75-earthquake-hits-hanmer-springs-felt-widely-across-new-zealand-as-tsunami-warning-issued. İstifadə tarixi: 13 November 2016. ↑ Taylor, Matthew (13 November 2016). "Tsunami hits New Zealand east coast after 7.5-magnitude earthquake". https://www.theguardian.com/world/2016/nov/13/new-zealand-south-island-hit-by-74-magnitude-earthquake. İstifadə tarixi: 13 November 2016.